MGM Cotai, a new Macau casino resort promoted by Hong Kong-listed MGM China Holdings Ltd, is to begin opening VIP gambling rooms with external junket partners in September, the firm’s chief executive Grant Bowie told media on Wednesday. Between then and early 2019, the casino operator expects to see a total of five junket operators establish gaming business at the Cotai property (pictured). “In total we have facilities for five [junket] operators. We’re looking for two [to be launched] in September and probably another two in October and a fifth will open early next year,” said Mr Bowie when asked about the timetable. In January investment analysts said they expected the initial MGM Cotai junkets to be provided by Suncity Group, Guangdong Group, Tak Chun Group, David Group and Meg-Star International. “We’re now finishing off the construction of the [junket] rooms… now what we are working through is all the licensing process with the government. We’re very happy that the [junket room] construction is nearly completed, and the licensing process is being finalised,” Mr Bowie noted to media on Wednesday. The MGM China executive did not disclose the number of gaming tables that the firm would move from its Macau peninsula property to MGM Cotai for the planned junket operation. In January the Macau government said that MGM Cotai – which cost circa US$3.5 billion – was at launch being allocated 100 new-to-market live-dealer tables under the city’s table cap; a further 25 new-to-market tables on January 1, 2019; and had been authorised to move 77 tables from MGM Macau in the city’s traditional downtown casino district. The opening of the VIP rooms at MGM Cotai would be followed by the launch of a facility called President’s Club, described by MGM China as “an ultimate exclusive gaming area” for the firm’s premium-mass customers; a segment betting in high multiples but using cash rather then the credit extended to traditional VIP players signed up to rolling chip programmes. 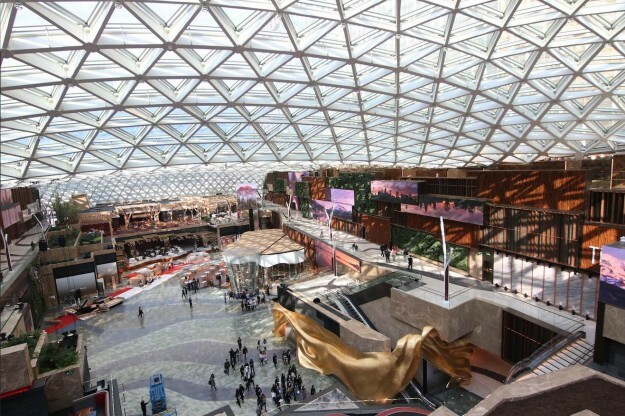 Management at MGM China’s parent firm, United States-based MGM Resorts International, had mentioned the premium mass facility for MGM Cotai in a conference call with investment analysts following its second-quarter results. Mr Bowie made the latest comments about the coming VIP rooms on the sidelines of a media preview for MGM China’s “International Lion Dance Championship 2018”, an event that will take place at the MGM Theater at MGM Cotai in November. The 2,000-seat capacity theatre can offer 10 different seating arrangements. MGM China calls it “Asia’s first dynamic theatre”. The theatre is going to host events – including public concerts – before the resident show “Destiny” is launched at the Cotai property, Mr Bowie briefly noted. The date for that will be announced “in the near future”, the firm’s chief executive said.